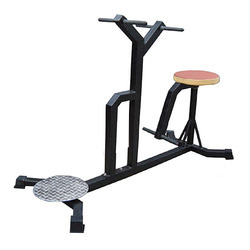 Owing to perfection and quality oriented approach, we have carved a niche in the industry by offering premium quality Single Twister Exerciser Machine. Backed by a team of skilled professionals, we are providing an exclusive range Twister Machine. Our offered range is manufactured using supreme quality raw material under the strict supervision of our adroit professionals. Owing to their exclusive features, offered range is highly demanded in various gym and fitness centers. - Plate: Ø 300mm x5mm Thick, Ø 200mm x5mm Thick. We are offering ST-1491 Single Twister to our clients. - Sturdy stee(frame in tfie Combination of 125 x 60 Pipe 100 mm round pipe. 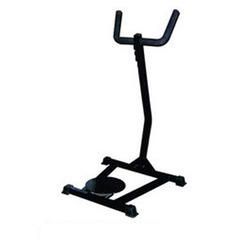 - Adjustable seat for comfortable workout. - Meavy bearing to provide complete motion. We are providing Hip Twister to our clients.